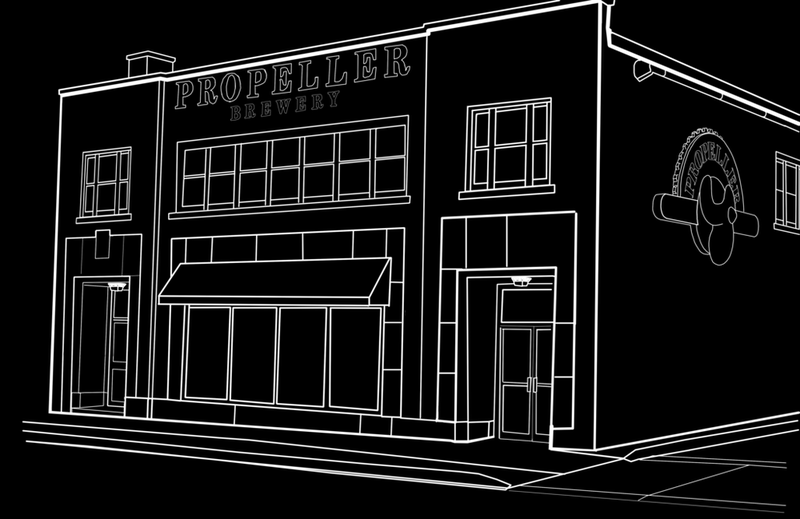 News — Propeller Brewing Co.
Coffee and beer. Together at last. Jays-inspire Propeller One Hit Wonder! Propeller Beer School 101 Success! It might not be your gramma’s cuppa, but holding your pinky out while drinking is absolutely an option for this midnight ale. Make a one hit wonder happy today! Our brewers have been having some creative brainstorms this summer. We suspect the sunshine might be part of their inspiration, and our one hit wonders are all the better for it. This week, Propeller just released the latest wonder, 1 Hop, and it’s sure to be a crowd pleaser. IPA is now available in cans! One more reason to drink Propeller. Propeller Brewery welcomes new Head Brewer, Rod Daigle, to the team. A veteran of the craft brewing industry, Daigle has been in the business since 2008 and attended the Sieble Institute of Technology, which provides international educational programs in professional brewing, and in 2012, he co-founded Brimstone Brewery in Ontario’s Niagara Region. Did you meet our Hefeweizen? Being we were ready for a warm-weather offering a little different from the every day, we figured why not bring back our Hefeweizen? First brewed at Propeller in 2010, we’re brewing it again, but only for May, June, July and August.